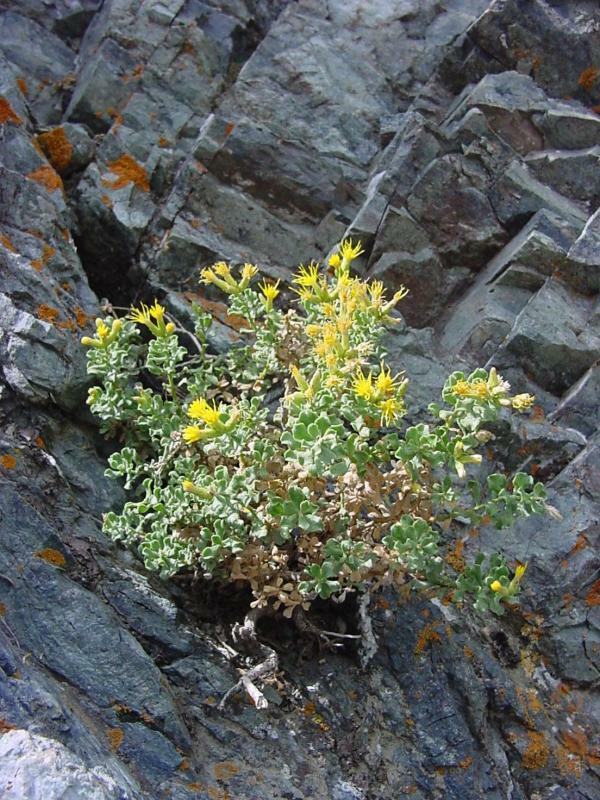 Rock or wedgeleaf goldenbush is a glabrous perennial shrub growing to around 3-4' tall with glandular-punctate leaves and stems. 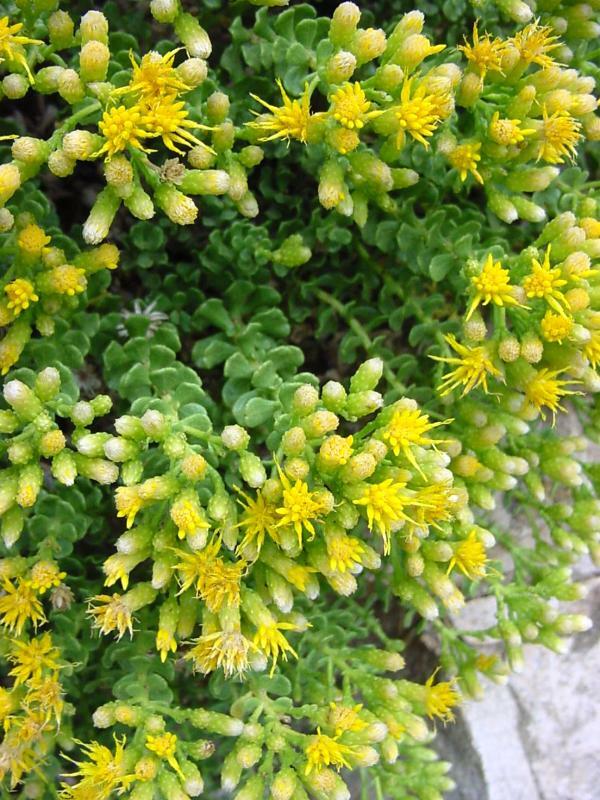 The leaves are crowded, up to 1/2" long, cuneate to obovate, sessile, and mostly entire or with somewhat wavy margins. 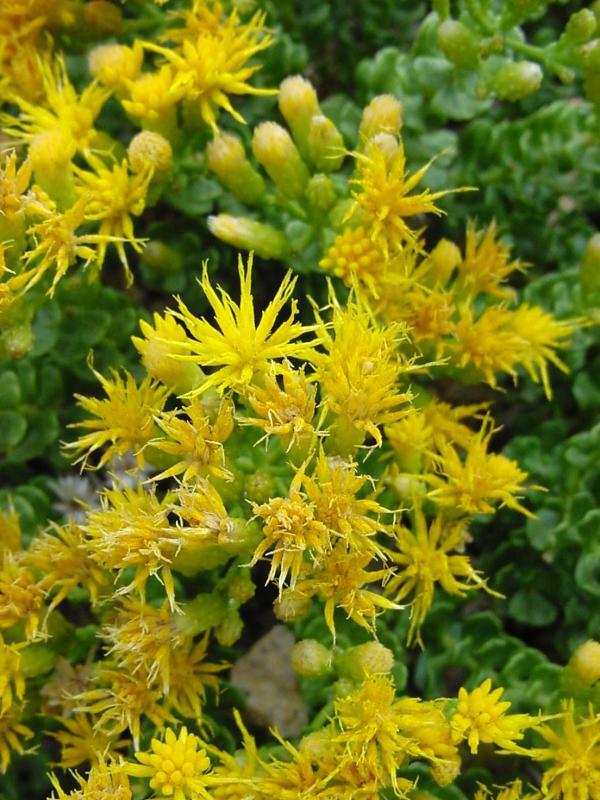 The flowering heads are in a small compact cluster, and are radiate or discoid, with involucres about 1/4" high, ray flowers if present (in Southern California usually not present) 1-3 and yellow, and disk flowers 12-33, also yellow. There is a pappus of sparse, brownish bristles. 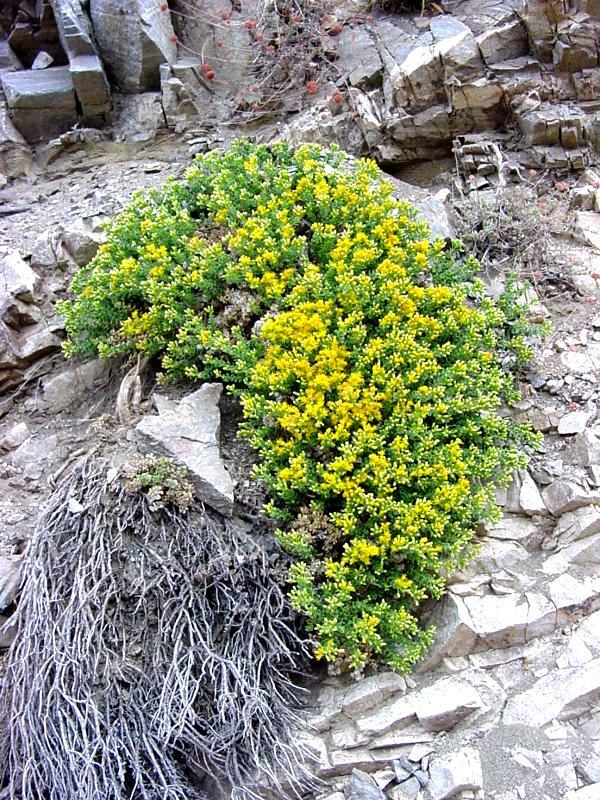 As its name indicates, it prefers crevices of mostly granitic rocks from 3000' to 8500' in the West Transverse and Peninsular Ranges, and San Gabriels Mts. north to the Sierras, blooming from September to November. These pictures were taken near Mt. Baldy and on the closed section of SR39 below Islip Saddle. Click here for Latin name derivations: 1) Ericameria 2) cuneata.